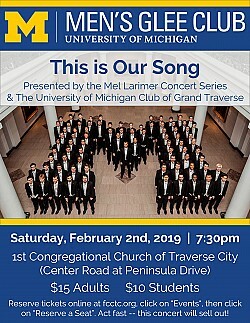 Join us for a concert presented by the University of Michigan Men’s Glee Club on Saturday, February 2 at 7:30 p.m. at the First Congregational Church of Traverse City. This concert, led by Director Mark Stover, features a program titled, “This is Our Song.” The Men’s Glee Club will present a program inspired by songs of peace, justice and hope, along with traditional University of Michigan songs sung by the club on their world tours. There’s something for everyone! This concert is presented by the Mel Larimer Concert Series and the U of M Club of Grand Traverse. 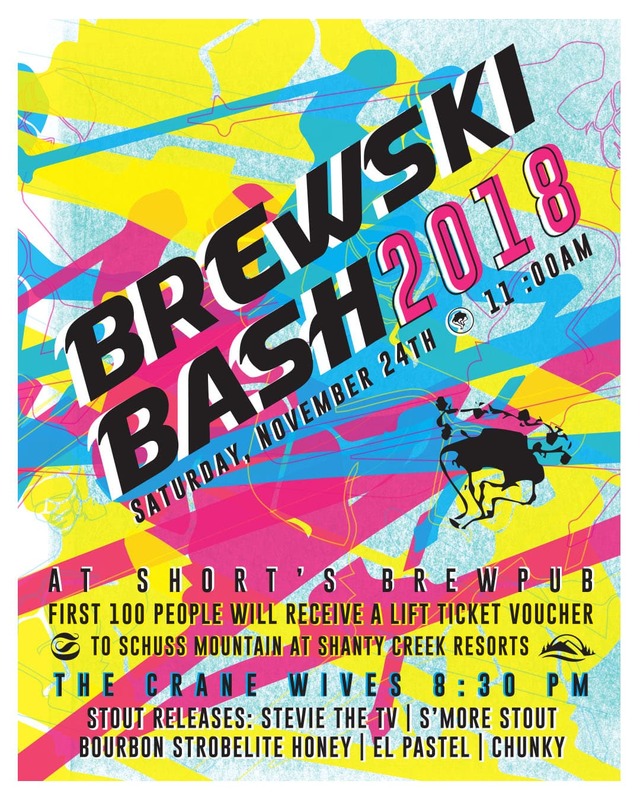 Tickets are $15 for adults and $10 for students. They are available on the church’s website. You may pay online or by mail. After submitting a reservation request, guests will receive a confirmation email. The sanctuary sits 600 people. Doors open at 7 p.m. The University of Michigan Men’s Glee Club is the second oldest collegiate chorus in the United States and has long been acclaimed as one of the finest male choruses in the world. It is the oldest musical group on campus, as well as the oldest student organization at the University. Once only a group of six or eight men, it has blossomed into a group of 100 men representing a majority of the schools and colleges at the University of Michigan.